This spring, excellence is in full bloom within our CUNY J-School community garden. Our latest newsletter is filled with fresh alumni and faculty/staff news, including the recent Awards for Excellence. In April, I was fortunate enough to attend the J-School’s annual fundraising gala for the first time and spent time interacting with the 20 grads at our two alumni tables and others who were guests of their various companies. The highlight of the evening was the moving awards acceptance speeches from our five talented graduates, along with impassioned addresses from journalist Ta-Nehisi Coates and Charles H. Revson Foundation President Julie Sandorf. Congratulations to Development’s Cathy Harding and Gogie Padilla for their hard work in making this annual event successful, and thank you to all alumni who attended. If you were unable to score a coveted ticket to the gala, you still have a chance to reunite with your fellow alums and beloved J-School faculty and staff on Saturday, May 19th at Alumni Homecoming 2018. We’ve planned an afternoon packed with excitement, featuring special guest, investigative journalist and CUNY J-School adjunct professor Azmat Khan, a panel of radio alums and our alumni awards. All of this plus great food and fun. Please RSVP no later than May 14th. As always, homecoming is a free event, and we ask that you give back to the school by donating what you can here. I look forward to seeing you at the J-School on May 19th for homecoming. The 11th annual Awards for Excellence brought together and honored media, public service leaders and CUNY-J alumni. The fundraising event was held on Wednesday, April 11, at Cipriani 25 Broadway. Proceeds enable our school to provide scholarships and stipends to students with unpaid summer internships. This year, donors could allocate a portion of scholarship proceeds to members of the Ida B. Wells Society for Investigative Reporting, which was created in 2015 to increase the ranks of investigative reporters of color. 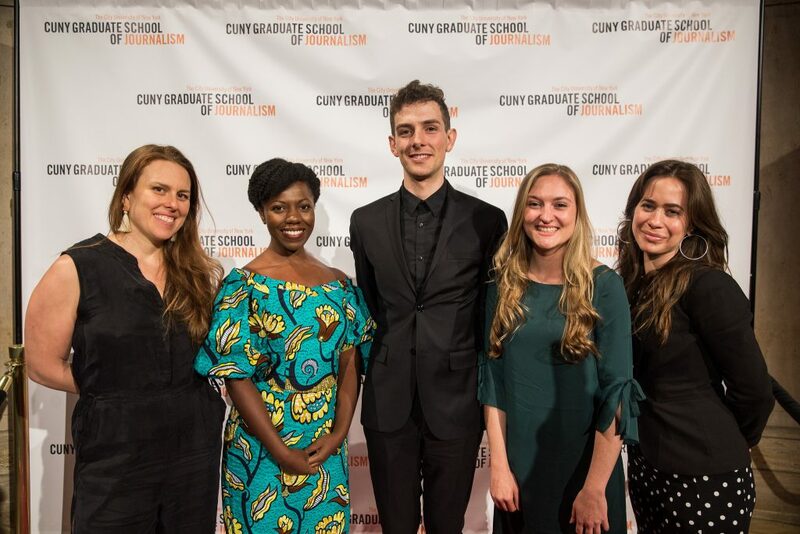 Three Class of 2017 alumni, Mallory Moench, Joy Notoma, and Will Mathis, and two Class of 2010 grads, Hannah Rappleye and Lisa Riordan Seville, were honored at the CUNY J-School’s Awards for Excellence. 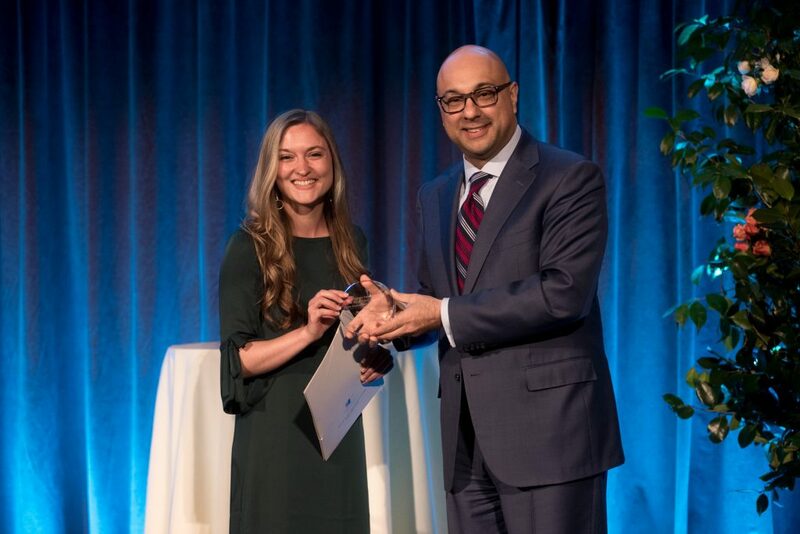 Master of Ceremonies Ali Velshi, business correspondent for NBC News and MSNBC, presented Mallory Moench, ’17, with the Sidney Hillman Foundation Award for Social Justice Reporting. 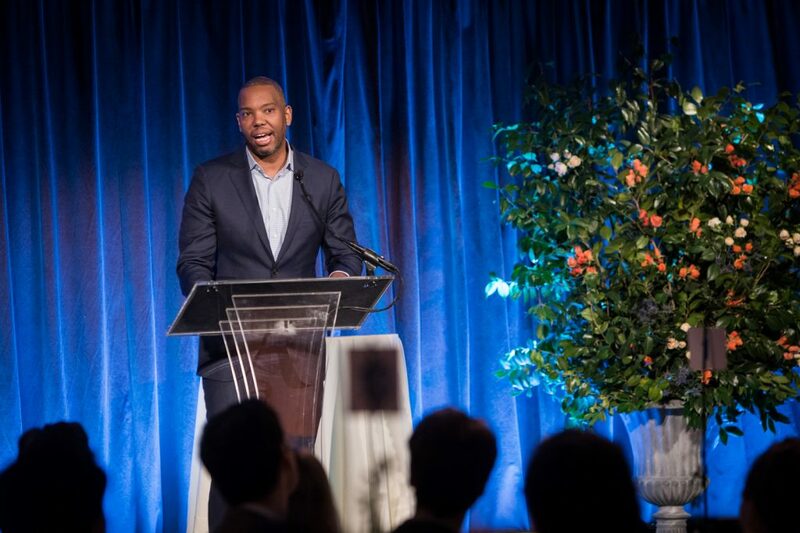 Ta-Nehisi Coates, national correspondent for The Atlantic, gave remarks after receiving the Journalistic Achievement Award. 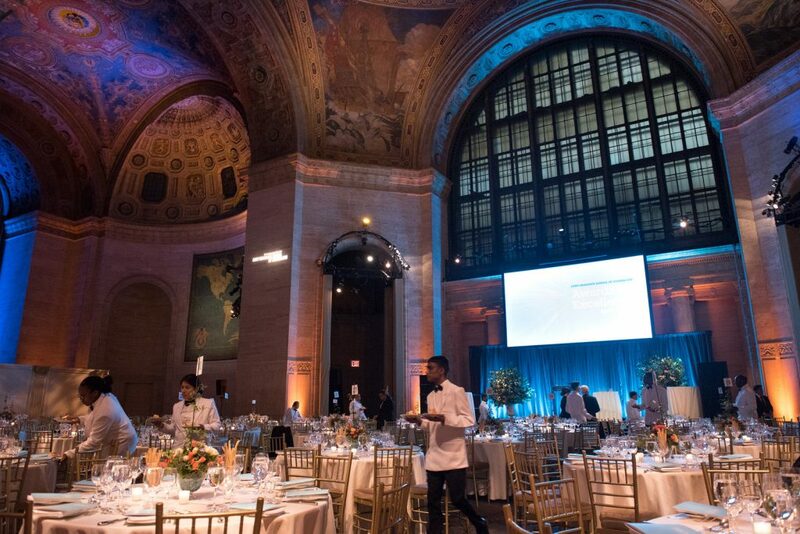 The event was held at Cipriani 25 Broadway in a New York City landmark building. 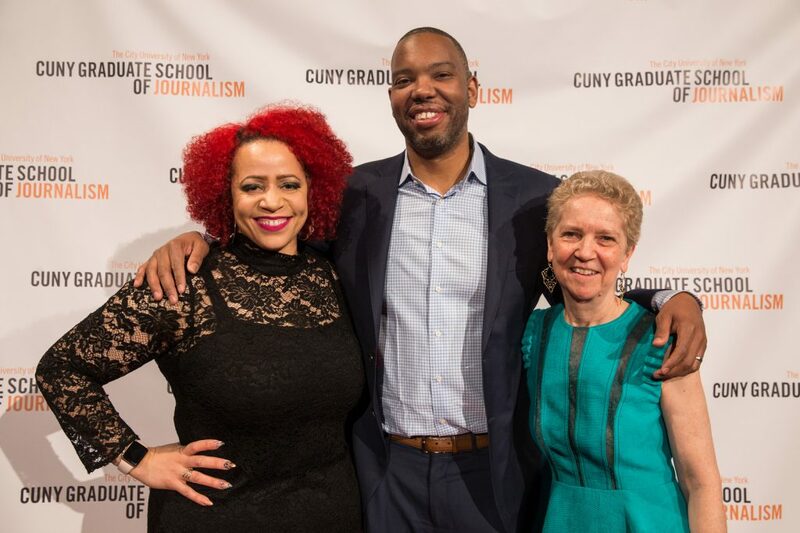 Nikole Hannah-Jones (left), investigative journalist for The New York Times, presented Ta-Nehisi Coates with the Journalistic Achievement Award. Also shown: CUNY J-School Dean Sarah Bartlett. 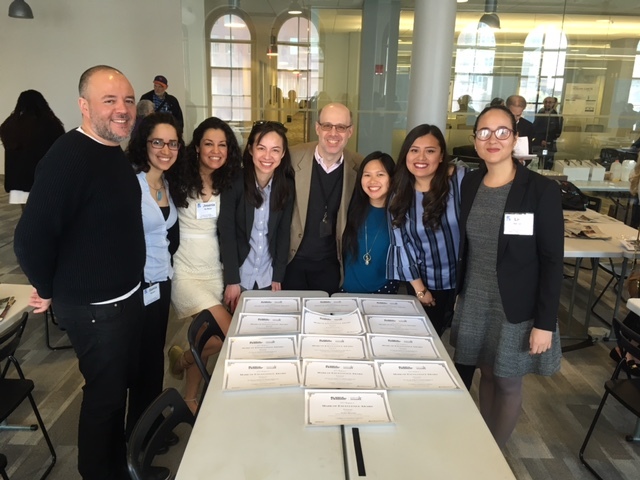 The Spanish-language Journalism Program is hosting the Latino Media Summit, a two-day event that will bring together journalists, media industry leaders, innovators, thinkers, product specialists and digital news entrepreneurs to focus on bilingual Latino audiences and Spanish-language journalism. Please join us at the J-School on Saturday May 19 for our annual homecoming celebration, with a special guest speaker — investigative journalist and CUNY-J adjunct professor Azmat Khan. This summer, CNBC is hosting three interactive workshops for aspiring and professional journalists at the 2018 NAHJ, NABJ and AAJA Conventions. The workshops are: Business Reporting, Business Producing and Business News Associate. Alyxaundria Sanford, ’17, landed a gig as a reporter/moderator at Spaceship Media. She’ll be working on their new project, The Many, which will bring together people from different political, social and cultural beliefs and backgrounds for productive and informed conversations. This semester, Angela Hill, ’07, is teaching a reporting and news writing class at Georgetown University’s School of Continuing Studies in the Master’s in Journalism program. Georgetown is her undergraduate alma mater and she says it’s an honor to be back at the school as an instructor. At the end of March, Anthony Falco, ’16, started his new position as video producer at the NY Daily News. He was previously at Vocativ until November and then freelanced at various places before getting his new job. Former Fulbright Scholar, Chau Ngo, ’14, returned to Vietnam and now works for the U.S. Embassy in Hanoi, where she helps arrange trainings that help local journalists cope with the difficulties of practicing their profession in Vietnam. Estefania Hernandez, ’17, who was one of the pioneers of the J-School’s Spanish-Language Program, started in March as a news assistant at NY1. Hanaa’ Tameez, ’17, is breaking new ground in her role as Fort Worth Star-Telegram’s new diversity reporter. For her first story, she profiled Afro-Latin dancers in Arlington, TX. 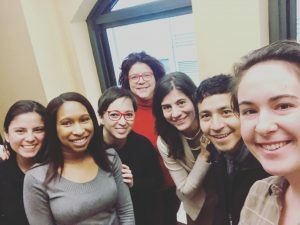 For the past six months, Heather Appel, ’07, has been working as a communications director at the Partnership for Working Families, based in Oakland, CA. Before that, she was a communications director at the Committee of Interns and Residents/SEIU Healthcare. This spring, City Limits hired Jeanmarie Evelly, ’09, as its youth program manager/reporter. She will be running the youth-training program called CLARIFY (City Limits Accountability Reporting Initiative for Youth), which provides paid internships to high-school students who learn the basics of public-interest and investigative reporting. Evelly’s reporting will supplement and extend the work that the teen reporters contribute. Most recently, Evelly served as a reporter/producer at DNAinfo.com New York covering Astoria and Long Island City. 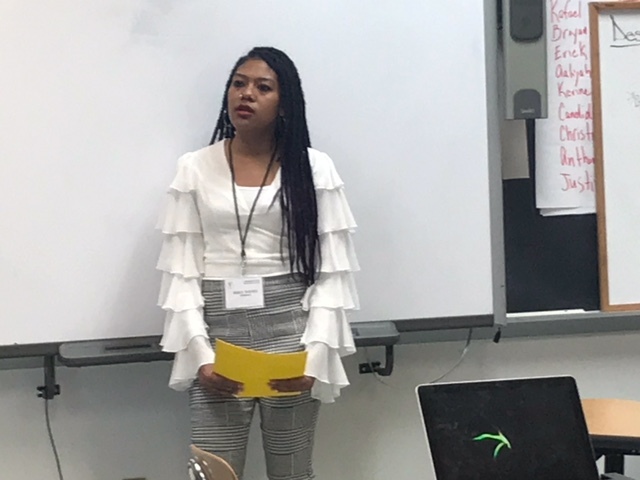 Spanish-Language Program alumna, Jesenia De Moya Correa, ’17, became one of the six emerging journalists of color selected from more than 130 applicants by Philadelphia Media Network for its inaugural class of the Lenfest Journalism Fellowships. During the two-year reporting fellowship based in Philadelphia, PA, she will work as a full-time bilingual reporter on Latino communities starting June 18, 2018. Since February, Justin Joffe, ’09, has been enjoying his new gig as content manager at PRNews, where he is writing stories on the communications business. He is also recruiting speakers for events and workshops and programming presentations with them across the country. Kristine Villanueva, ’17, is working part-time with Spaceship Media, which uses journalism to support meaningful communication between communities at odds. 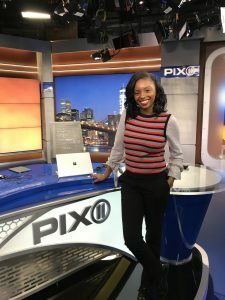 Mariya Moseley, ’16, joined the PIX11 News team in April as a production assistant. She writes broadcast scripts, edits footage and field-produces stories for morning, evening and weekend newscasts. Previously, she was working at PEOPLE producing entertainment videos. Martika Wilson, ’16, is starting an internship at Norwood News in the Bronx. After interning at Popular Science and Audubon Magazine, Meaghan Callaghan, ’16, is now associate editor of custom media at McMahon, which makes customized publications for hospitals and health systems. She works with two other alums, Michael Depeau-Wilson, ’16, and Paul Bufano, ’11. Mia Garchitorena, ’15, will be starting as the first senior communications associate at Memorial Sloan Kettering Cancer Center on May 29. She will be working as an “internal journalist” for the Communications Department, writing stories for the staff, patients and external communications, as well as building relationships with other hospitals, health care organizations and advocacy groups. She previously worked as associate editor and content manager at MDalert.com. Nick Perez, ’16, moved to California where he is a multimedia producer at The Daily Journal, a Los Angeles-based publication that covers law in the state. He’s producing podcasts, doing web production, designing artwork and soon will be making videos. Noah Caldwell, ’16, was hired as a producer at NPR’s All Things Considered in Washington, D.C., where he will be working on breaking news interviews and long-term feature stories with the hosts of the show, mixing NPR reporters’ pieces and occasionally writing digital copy for NPR.org. He had been working as a temporary producer there since August. Patrick Gillespie, ’14, who has been an economics reporter at CNNMoney since graduating, is leaving to join Bloomberg as an economics/policy reporter posted in Argentina. Philip Clapham, ’16, got what he describes as his “dream job” as a senior communications officer at the International AIDS Society in Switzerland. After two years working as a broadcast associate at BBC News, Rachel Dzanashvili, ’11, started working in November as a freelance booking producer for Ayman Mohyeldin’s shows on Sundays on MSNBC. Check out one of her segments, an interview with “Russian Roulette” authors David Corn and Michael Isikoff to discuss Comey’s pending interview and book. The Real Deal is extending its reach to the Midwest with the launch of TRD Chicago. Senior reporter Scott Klocksin, ’14, who joined on March 5, will spearhead coverage on the ground, working with a New York-based data journalism team to break news through public records. He’ll also gather sources on both the residential and commercial sides of the real estate industry and write feature and breaking news stories. Klocksin had been working from Chicago on freelance projects for Bisnow Media. Susie Armitage, ’13, started working in December as an editor at a nonprofit called Youth Communication, which publishes two magazines written by teens and youth in foster care. Previously, she was at Buzzfeed working as global managing editor. Tanzina Vega, ‘07, has been named host of “The Takeaway,” a syndicated public radio news affairs show. She is replacing John Hockenberry, who resigned last year after being accused of sexual harassment. Vega, who will begin working on the radio program on May 7, has contributed to CNN, WNYC Radio, Reuters, and The New York Times, where she won an Emmy in 2010 in the “new approaches to documentary” category. Tatiana Flowers, ’16, started a job at the Glenwood Springs Post Independent, a newspaper located about 60 miles from Aspen. She will be covering health, education, crime, courts and cops, among other assignments. Sarah Barrett, ’14, moved to Mexico City and is a 2018 International Reporting Project grantee working on a series of stories about changing laws for the transgender community in Latin America. Sarah Khuwaja, ’13, started her creative marketing role on Twitter’s emerging content products team, based in New York City. Her last job was on the content partnerships team at Great Big Story (CNN). Sharif Hassan, ’17, has returned to his post with The Washington Post in Kabul, where he has covered the most serious outbreak of violence in the capital in many years. Thomas Vineeth, ’10, started in February as deputy digital media editor at Deccan Herald newspaper in Bengaluru, India. Previously, he was working as senior web editor at WRNN-TV/Verizon FiOS1 News in Rye Brook, NY. Zach Williams, ’16, has been working as a reporter at New York Nonprofit Media, where he has also modernized the website and developed a video brand. Congratulations to the CUNY J-School news outlets that took home four first-place prizes on Sunday, Apr. 22 in the Society of Professional Journalists Mark of Excellence Awards for Region 1. In addition, the J-School collected nine finalist certificates during the awards ceremony held in Philadelphia as part of Region 1’s annual spring conference. Alana Casanova-Burgess,’10, is a Livingston Award finalist for her story “After the Storm,” about Puerto Rico’s recovery after Hurricane Maria. She is a producer for On The Media. Allen Arthur, ’16, wrote a story about how Tennessee is locking “ailing, mentally ill, pregnant and juvenile prisoners in isolation to help jails save money,” that was published on the Marshall Project and in the six USA Today network papers in Tennessee. Radley Balko of The Washington Post also blogged about it. A source asked Allen to testify before a state corrections subcommittee about the practice that was highlighted as a result of the article. The Sidney Hillman Foundation announced winners of the 68th Annual Hillman Prizes, which included Almudena Toral, ’10, from Univision and El Faro for her reporting on the Central American refugee crisis, “From Migrants to Refugees: The New Plight of Central Americans.” This is the first time Spanish-language outlets have won the award. Anuz Thapa, ’17; Alexandra Boothe, ’17; Kayla Rivera, ’17; Katherine Lavacca,’17; and Robert Exley, ’17, showcased their films in this year’s CUNY Film Fest. Carmel Delshad, ’11, editor and reporter at NPR Washington DC affiliate WAMU 88.5, won the Regional Murrow Award in the Continuing Coverage category for her reporting following the death of local teenager Nabra Hassanen. Christopher Inoa, ’16, is applying his science fiction expertise while freelancing for Syfy Wire and recently wrote a tribute to the legendary animator Isao Takahata. Micah Danney, ’17, and Claire Molloy, ’17, at the 2018 Annual Overseas Press Club Foundation Scholar Awards Luncheon at the Yale Club in New York City on February 22. Claire Molloy, ’17, and Micah Danney, ’17, received Overseas Press Club Foundation Scholar Awards at a luncheon held at the Yale Club in New York City. 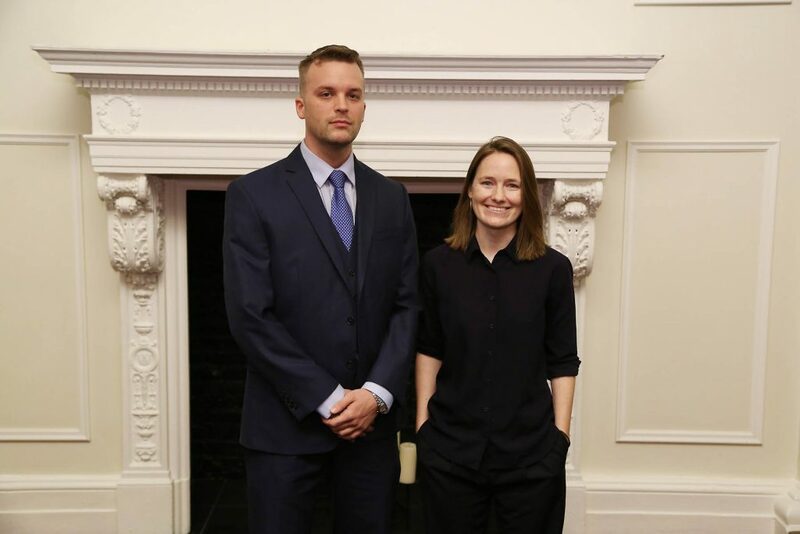 Micah and Claire were among 16 aspiring foreign correspondents selected by leading journalists from a pool of 175 applicants from 50 colleges and universities. *Allen Alter, former CBS News reporter and producer, presented Micah with the Theo Wilson Scholarship. As a multimedia journalist, Micah’s main focus is the Middle East. He has an OPC Foundation fellowship with the GroundTruth Project in Jerusalem. *Claire won the N.S. Beinstock Scholarship. Her presenter was Steve Sacadario from the United Talent Agency. As a video journalist, Claire’s focus now is Southeast Asia, where she interned last summer in Jakarta for VICE Indonesia. Deonna Anderson, ’16, was named a fellow for UC Berkeley’s 11th Hour Food and Farming Journalism Fellowship. Emrys Eller, ’15, produced and Alden Nusser, ’15, along with co-worker Ben Fries, co-directed, a short film that made it into the TriBeCa Film Festival this year. “Crime Cutz” is a documentary-music video hybrid that profiles four New Yorkers to the soundtrack of Holy Ghost!’s Crime Cutz EP. Jake Naughton,’14, a freelancer based in London, recently photographed Cambridge Analytica whistleblower Christopher Wylie for The Washington Post. And a story he wrote and photographed on Uganda’s LGBTQ community was published as a portfolio in the Spring issue of World Policy Journal. Jeanne Pinder, ’11, worked on “Cracking the Code” & “Medical Waste” for WVUE-TV, NOLA.com / The Times-Picayune, which was was nominated for a Peabody Award. The Peabody Awards honor “the most compelling and empowering stories” in electronic media. Jeanette D. Moses, ’13, was accepted into the Women Focus Photography Portfolio Review happening in Washington DC next month. She also had pictures published in Rolling Stone as part of the 2018 SXSW Best of Wrap Up. Jessica Bal, ’15, was accepted to a reporting fellowship with the International Women’s Media Foundation in Rwanda this May/June along with seven other female journalists. She will be covering stories that she pitched on agriculture and climate change. Congratulations to 2016 alums Joaquin Cotler, Michael O’Brien, Nicole Lewis, Noah Caldwell and Stephanie Daniel who won a Regional Murrow Award for their podcast “The Fix: Treating New York’s Opioid Crisis,” which was reported through their fellowship with The GroundTruth Project. Joel Wolfram, ’16, won a Pennsylvania Associated Press Media Award for his reporting on Philadelphia’s efforts to help drug users displaced by the cleanup of a decades-old heroin encampment along a stretch of railroad tracks. He captured second place for “Best Continuing Coverage” in the Radio I category, along with WHYY reporter Elana Gordon, for a series of reports for NPR affiliate WHYY on the issue. Josh Keefe, ’16, along with journalists Celeste Katz and Josh Saul, published a story, “Why is the manhattan da looking at newsweek’s ties to a christian university?” on Newsweek. Joy Notoma, ’17, took in a screening of “Black Panther” in Cotonou, Benin and wrote about the experience in this opinion piece for HuffPost. Karen Shakerdge’s, ’15, podcast, Exited, was recognized by the New York State Broadcasters Association with an award for “Outstanding Use of Digital Platforms.” The series is also a finalist in the New York State Associated Press Association’s podcast category. Kyle Mackie, ’17, and Robert Exley, ’17, won fellowships with the Jerusalem Press Club and will report with Haaretz newspaper and another in Jerusalem. Levi Sharpe, ’15, produced the podcast , The Upgrade by Lifehacker, which was nominated for a Webby award in the lifestyle category. The other two podcasts he produced for Jezebel, DirtCast and Big Time Dicks got honorable mentions in the Webby categories of pop culture and politics. Linda Villarosa, ’13, had the cover story, “Why America’s Black Mothers and Babies Are in a Life-or-Death Crisis,” in the New York Times Magazine. It talked about infant and maternal mortality rates in the black community. 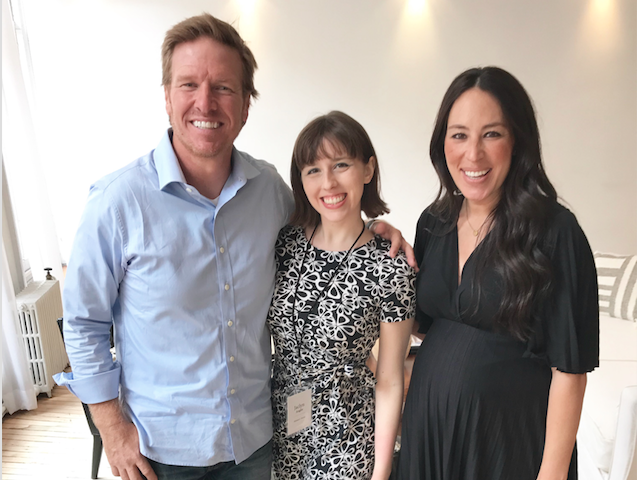 Mariana Keller, ’11, wrote a piece that has been nominated for an SPJ Deadline Club Award: “Battling Dementia: A Mother and Son’s Incredible Journey.” She is a senior video producer at NBC News. Melissa Noel, ’13, gave a compelling account at the United Nations on February 20th of her reporting on “barrel children” in Jamaica and elsewhere in the Caribbean. Melissa made her presentation on the UN’s World Day of Social Justice at the invitation of the International Labour Organization, which awarded her a prize in 2016 for her Voices of NY story “Migration and Separation: Stories of ‘Barrel Children.” Her audience was a high-powered group of international policy-makers gathered at the UN to formulate the first-ever Global Migration Pact. Natalia Osipova, ’12, produced a Wall Street Journal video about Russian high school student Vitaliy Smitienko who joined the Russia opposition movement last year. Oliver Morrison, ’14, moved to Pittsburgh where he now works as the environment and health reporter for PublicSource.org. Before leaving The Wichita Eagle, where he was working as a reporter since 2015, his story about high school journalists who challenged their school superintendent’s credentials won a first place award for the Kansas Press Association. His reporting on the lackluster response to the wildfires in Kansas led the state to audit its firefighting system. 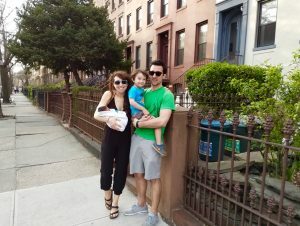 Rachel Dzanashvili, ’11, wants to share the latest clips from “MSNBC Live,” where she is responsible for booking guests. This segment is a panel discussion regarding the geopolitical implications of the Syria strike with Laura Setrakian, New York Times reporter Rukimini Cllimachi, and Yahoo’s Chief Investigative Correspondent Michael Isikoff (who will be appearing at the CUNY J-School in a conversation with Professor Peter Beinart on May 9). 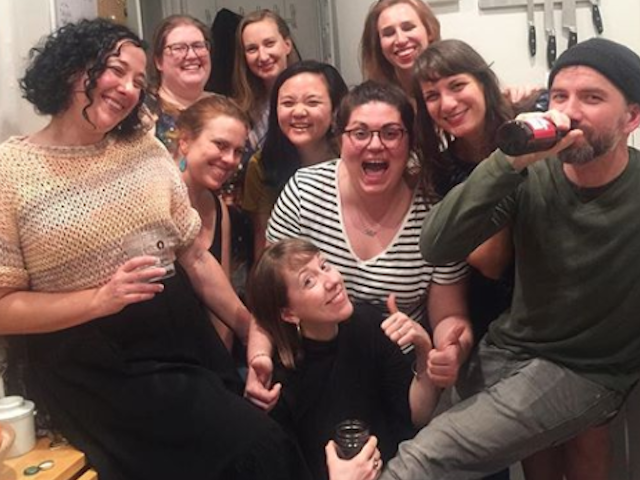 Samantha Stark, ’10, and adjunct professor Kassie Bracken produced a retrospective on the nation’s first affirmative consent policy established by women at Antioch College. Check out their video. Simon Galperin, ’16, was awarded a Reynolds Journalism Institute fellowship for his work as the director of the Community Information Cooperative, a non-profit that works with communities to design and fund their own local news and information services. From his summer internship at the St. Lake City Tribune , Will Mathis, ’17, won first place in two business reporting categories at the regional SPJ awards, Top of the Rockies, which include news organizations from Colorado, New Mexico, Utah and Wyoming. He won in the Business: Enterprise Reporting category with his story on Amazon expansion and in the Business: General Reporting category for a story on rural jobs. Zachary Kussin, ’11, is a finalist for a New York State Associated Press Association award in the Arts/Entertainment reporting category for his story about the controversy surrounding the Aluminaire House. Angela Hill, ’07, attended the 133rd annual Gridiron Club Dinner March 2 at the Renaissance Hotel in Washington, D.C. Among the other guests were President Donald Trump, First Lady Melania Trump, and members of the cabinet, including Vice President Mike Pence and his wife. 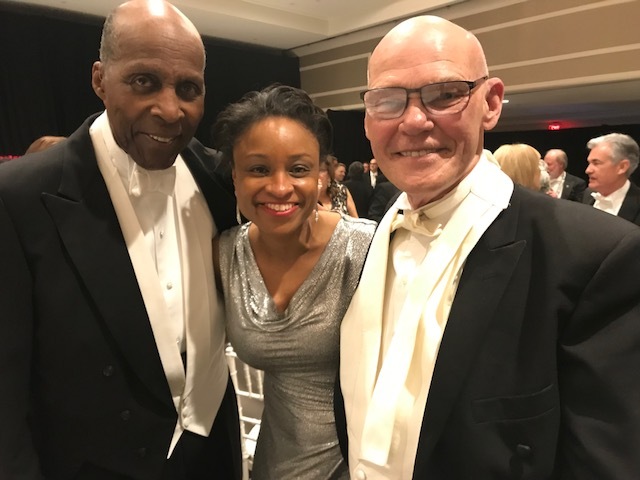 (Left to right: Vernon E. Jordan Jr., civil rights leader and adviser to President Bill Clinton, Angela Hill and political commentator James Carville. Have you seen the new Netflix documentary Flint Town? 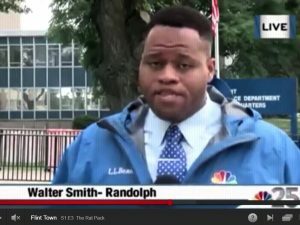 There’s a familiar face in Episode 3: Walter Smith-Randolph, ’10. Erica Davies, ’15, spoke at Validus Preparatory Academy High School’s career day on April 20. She works for Condé Nast Entertainment, where she writes and produces social media videos. 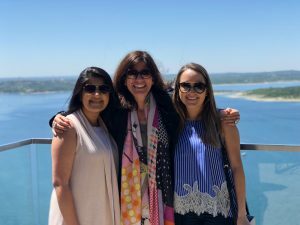 Spanish-Language Program Director Graciela Mochkofsky (center) had a reunion with two of the program pioneers, Hanaa Tameez and Maritza Villela, at Lake Travis in Austin, TX. 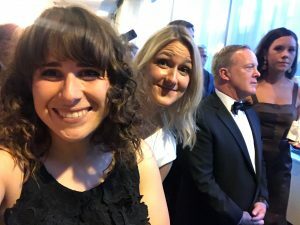 Natalie Fertig, ’14, (left) managed to snap a selfie in front of unsuspecting former White House press secretary Sean Spicer at the April 28 White House Correspondents Dinner. 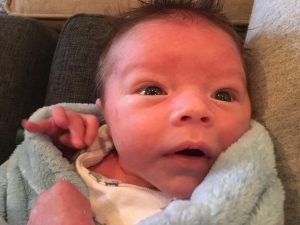 Events Coordinator Jennifer Dale, husband Mike and son Mason welcomed new baby boy Finn Oliver on April 9. 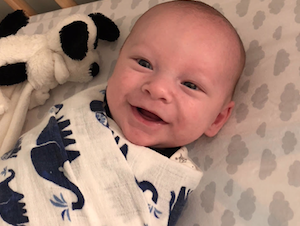 Thom Leavy, ‘16, and his wife Elyse announced the birth of their son Hunter Donahue Leavy on February 12. Allen Arthur, ‘16, and his wife Caitlin had a beautiful baby boy named Louis Arthur on January 22. Ken Aragaki, ’15, and Masa Oga, ’18, are a dynamic alumni-student duo. They first connected through Admissions Director Colleen Leigh back in 2016 when Masa was thinking about applying to the program and Ken was a student. A few years later, both were working together producing videos, one about the 2020 Olympics for the Olympic Channel and another one they sold to ABC: “Years after the Fukushima nuclear crisis, a community center helps evacuees,” about a housing complex hastily built in the aftermath of the Fukishima nuclear accident in Japan. Ken is currently an international freelance journalist. Masa is in his second semester and upon graduation, he wants to work as a videographer in Africa covering poverty and conflict. 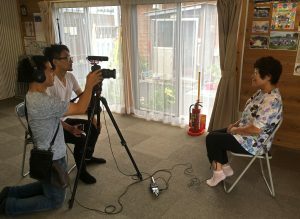 Ken Aragaki (far left) and Masahiro Ogamino interview one of the senior residents at the Ushigoe Temporary Housing Complex in Minamisoma, Fukushima. 1. How were you able to market your video to sell to ABC? Ken: I attended a panel discussion about the future of TV news at CUNY-J last year, where I met a VP of ABC News. After the event, I introduced myself to her and we agreed to set up a telephone conference. That phone conference didn’t happen until five months after, but she then introduced me to ABC News’ foreign desk editor. I pitched our Fukushima story to him and ABC News Digital was interested in taking both the video and VR story. 2. How did you start working together? Ken: I had always wanted to go to Fukushima and see what was going on with my own eyes. Since I was in New York at that time, I had asked Masa, who was working in Tokyo, to find senior evacuees still living at local temporary housing. After finding good sources, Masa and I decided to go to Fukushima together and shoot VR as well as video. Masa: At this time I hadn’t enrolled in CUNY yet. It was a great relationship. I could help Ken by finding sources and he taught me shooting skills that he learned at CUNY. 3. Did Ken have any influence in Masa choosing CUNY for graduate journalism school? Masa: Yes. I learned a lot from Ken about the classes, and he made me more interested in CUNY. I think matching alumni and potential students before the application process is really great, especially when it comes to international students. 4. How has CUNY-J inspired you or helped you in your career? Ken: In every way. I had been working as a news producer for a Japanese TV network over eight years before joining CUNY J-School, but I had always wanted to work as a one-man-band journalist. After completing CUNY’s program, I feel confident enough to travel and work by myself as a video journalist. Masa: First, I’m learning video skills and that’s awesome. Before I enrolled in CUNY, I had no skills on video production, but working with Ken and taking some classes has allowed me to enjoy this great ability. Adjunct professor and 2018 homecoming guest speaker Azmat Khan won a Hillman Prize in the magazine category for her New York Times Magazine story, The Uncounted. Director of the M.A. in Social Journalism program Dr. Carrie Brown is serving on the advisory board of Your Voice Ohio. Three adjunct professors, Colleen Long , Graham Roberts and Lena Groeger, are finalists for 2018 Deadline Club Awards. Winners will be announced on Monday, May 21, at the New York Harvard Club. The New York Financial Writers’ Association is honoring Business & Economics Reporting Program Director Greg David with the Elliott V. Bell Award. The NYFWA award named in honor of its founding president recognizes an outstanding journalist for a significant long-term contribution to the field of financial journalism. Check out this thread from social journalism professor Luis Miguel Echegaray, ‘15, on how March was a great month for coverage and representation of the Latino community in Sports Illustrated. Adjunct professor Luis Trelles was selected as a Michigan University Knight-Wallace fellow. Professor Margot Mifflin will take a 2018-19 sabbatical to work on a new book, “Looking for Miss America,” about the cultural history of the Miss America Pageant. It will be published by Counterpoint Press in 2020. Director of International Reporting Prue Clarke and her colleague Mae Azango wrote “Liberia bans female genital cutting in a triumph for local journalism,” published by the Columbia Journalism Review. Clarke also wrote about how a U.S. court brought Mohammed Jabbateh, a warlord accused of committing war crimes during the Liberian civil conflict, to justice. The story was published by The Washington Post. ProPublica and NPR’s ‘Lost Mothers’ story won the Polk Award for Medical Reporting. Social journalism adjunct professor Terry Parris Jr. and his metrics and outcomes class worked on elements of this story in the spring of 2017. Career and Alumni Services are collaborating on a CUNY J alumni/student mentoring program and would like your input. To participate, please fill out this quick survey. Alumni prize winners Lisa Riordan Seville, Joy Notoma, Will Mathis, Mallory Moench and Hannah Rappleye at the 2018 Awards for Excellence gala. The CUNY J+ Professional Development Program offers alumni 50% off its digital skills workshops using code ALUM50.